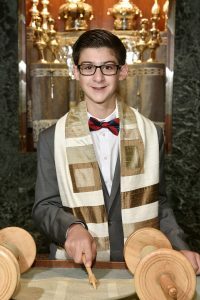 Ian Plaskoff became a bar mitzvah at Beth-El Zedeck in Indianapolis on May 5, 2018. 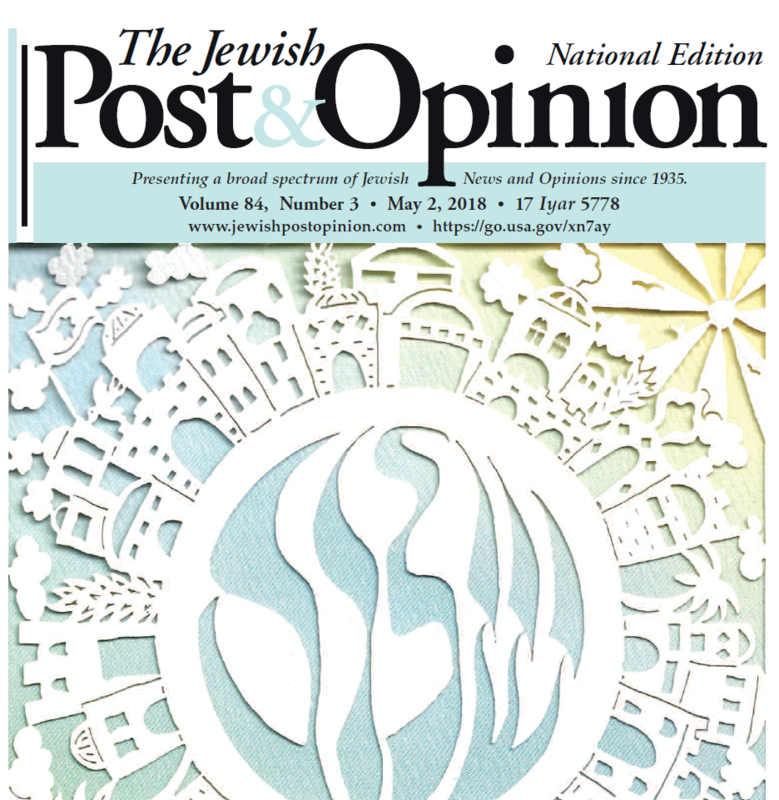 On May 5, 2018, Ian Plaskoff became a bar mitzvah at Congregation Beth El Zedeck. 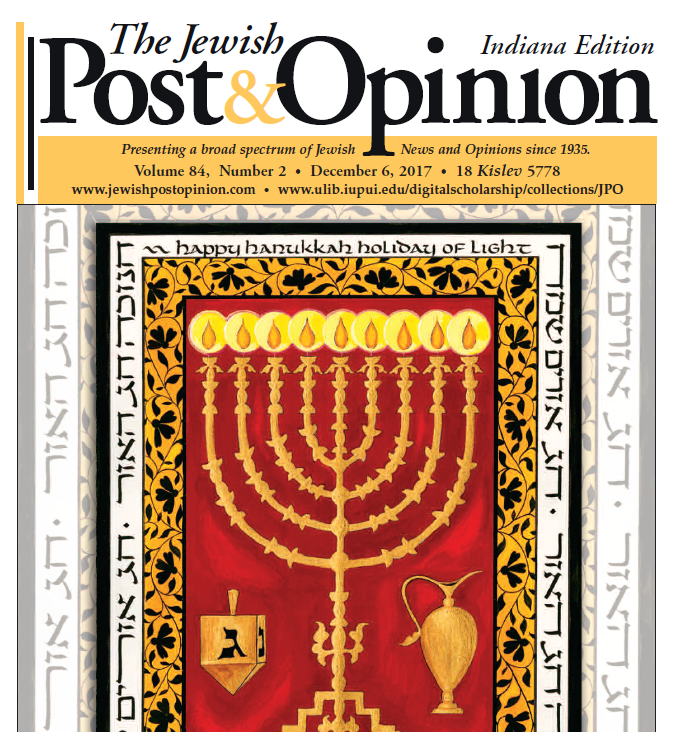 One important lesson from his Torah portion, Be’har was that when we give tzedakah, we must not be thinking about what we will receive in return. 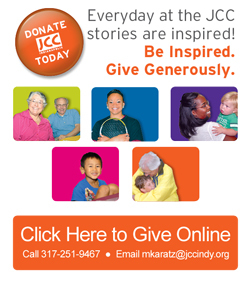 We are simply to help others for the sake of helping out. 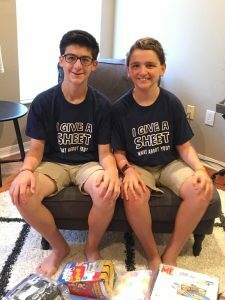 As part of Ian becoming a bar mitzvah he worked with a local organization, Sheets From Home, that does just that. Sheets From Home (www.sheetsfromhome.org) provides fun bed sheets and gifts to children who are undergoing cancer treatment in hospitals all over the country. These gifts help to make a long hospital stay a little more like home. Ian asked his friends and family to donate fun children’s bed sheets. 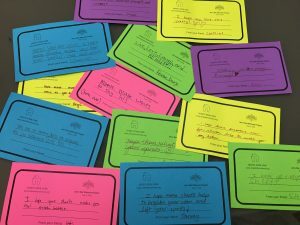 During his bar mitzvah party, guests wrote messages on special tags that were included with each set handed out. Ian also made a generous financial contribution to the organization from some of his bar mitzvah gifts. Why Sheets From Home? Ian’s good friend, Brad, who lives in Florida, has been undergoing cancer treatment at St. Joseph’s Children’s Hospital in Tampa for the past year. Sheets From Home was kind enough to send him a special package, even though they were not yet affiliated with that hospital. Ian was able to collect over 50 sets of sheets to be donated in Brad’s honor. 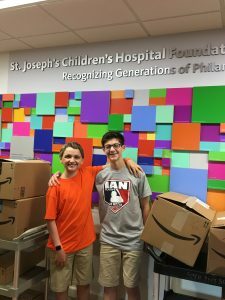 At the end of June, Ian traveled to Tampa, Fla., to personally deliver the sheets, with his friend, to St. Joseph’s Children’s Hospital. Sheets From Home now has an ongoing relationship with St. Joseph’s so even more children can benefit from these special gifts in the future. Tags (get well messages) inserted with the sheets that were given out. Ian with his friend Brad at St Josephs Children’s hospital.